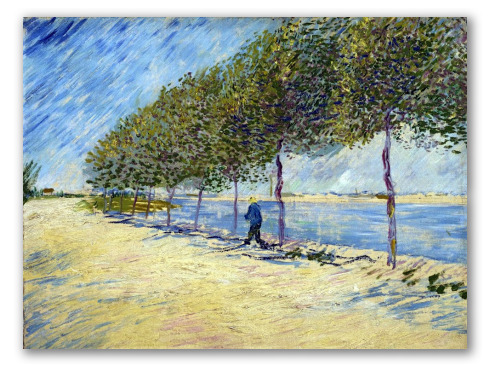 "Along the Seine" by Van Gogh, Oil Painting Reproduction. 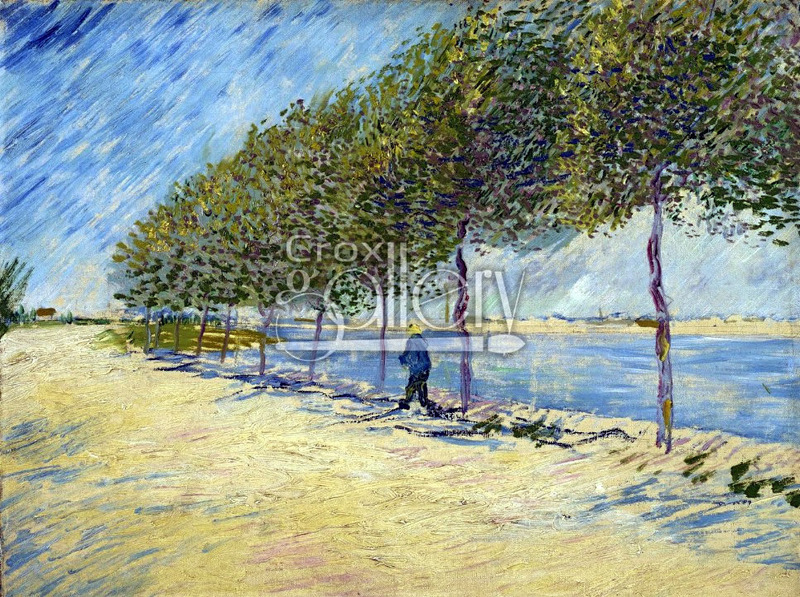 Along the Seine painted in 1887, shows a beautiful view of the Seine in Paris. Vincent Van Gogh did not complete this work. The pencil lines (which he outlined before he began to paint) are still visible on the edge of the opposite side of the river. The work is now displayed at the Van Gogh Museum, Amsterdam.